Handsome Harry got his wish for the new year….his forever home! Harrison is one charming little guy with the most adorable face. He is full of love and enjoying all the attention he gets with his new family. Harry has a wonderful life ahead of him and we are so happy for him! Thanks to everyone who helped Harrison get his Happy Ending! Guiness is the last puppy from the family we brought into our foster program in November, to find his forever home! He also gets to stay in touch with his brother Alfie often too! Guiness was pretty happy to see he has 4 kids of his own to keep him entertained too! Thanks to everyone who helped Guiness get his second chance! 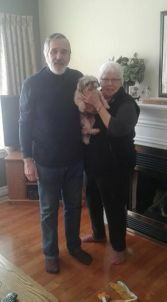 Cricket waltzed into her new home today after patiently waiting 8 months for someone to see how special she is….and she had her new family wrapped around her little paw within minutes! She checked out everywhere in her new home and gave it her paws up stamp of approval! This sweet senior acts like a puppy and has a lifetime of love ahead of her! Thanks to everyone who helped her get her Happy Ending! Little Lady walked into the hearts of her new family and made herself right at home! She was a little unsure of the very friendly kitty who was very curious about his new friend. Lady settled right in and enjoyed all the attention. She is such a confident little lady, everybody loves her! Thanks to everyone who helped Lady get her second chance! Boomer recently entered our foster program, he is one big bouncy baby boy! He loves to run and play. 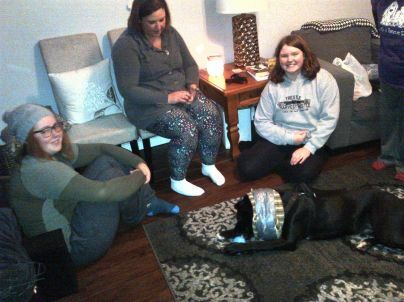 He is wearing his “cone of shame” after his surgery, only one day left to go so our volunteers wanted to be safe. 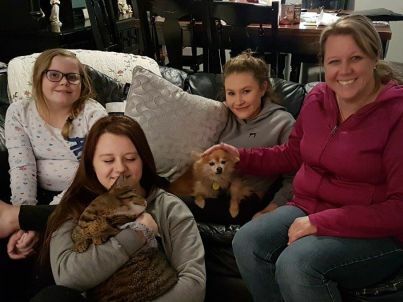 Boomer met his new family, he walked into their home and felt right at home! They have big plans for this big happy boy. 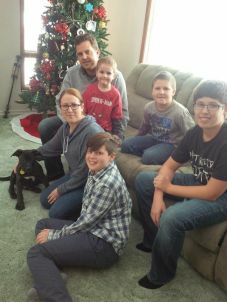 Boomer got the home he needed – lots of room to run and a family who were so excited to meet him! Thanks to everyone who helped Boomer get his second chance! 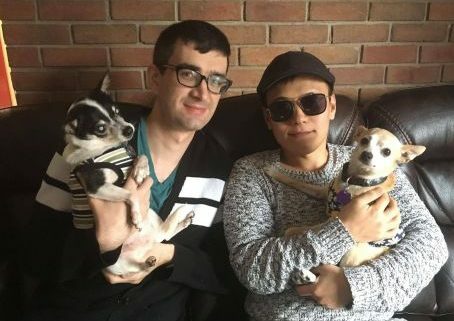 Lovey came to our rescue several weeks ago, she is the cutest little senior with some loss of sight, but that doesn’t keep her from having a great life! She was adopted and returned a short time later when her adopter had a change in work and location. 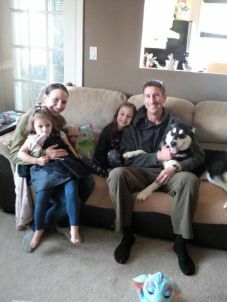 She was returned to her foster home where her foster family wanted her to stay and become a permanent family member. Lovey loves her adopted sister, these little girls are are doted on and pampered every day and that’s what we all love to see! 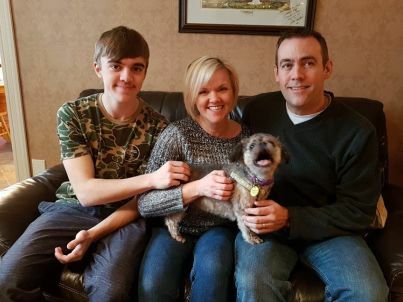 Thanks to everyone who helped Lovey get her Happy ending! Chance is one of the 3 puppies from the family we welcomed into our rescue in November. He is the second adorable little guy to find his forever home! Like all puppies, he loves his toys and he loves to play! His new mom was anxiously waiting to meeting him, his life has now changed forever! Thanks to everyone who helped little Chance get his second chance! This little guy sure knows what he likes in his forever home! We are sure we got it right this time! Oreo is a sweet little boy, so full of life and eager to please. 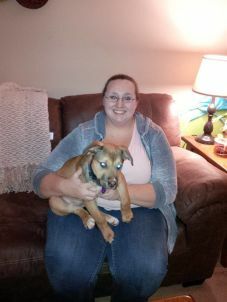 He met his new mom who absolutely adores him and she knows he has her wrapped around his little paw already! 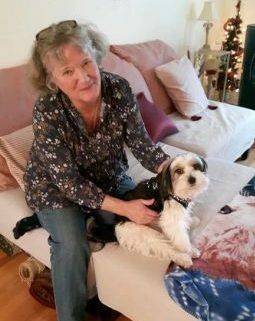 This love connection was instant and we are thrilled for Oreo and his new mom! She has lot of happy plans in store for Oreo. Thanks to everyone who helped him get his Happy ending! Riley is a newcomer to our foster program a few weeks ago. She was adopted and returned after an unexpected change took place. She is one happy go lucky girl who just wants to play and run and be loved. She met her new family today and she made herself right at home! Riley has a couple doggie buddies already, they were instant friends! Thanks to everyone who helped Riley get her second chance! Lola recently came to our foster program. She is still just a puppy and loves to play! Being a puppy, this girl has lots of energy and enjoys having a playmate…now she does! She has her own kids too! Lola and Bonnie (little adoptee from our rescue) hit it right off as soon as they sniffed noses and off they went! They circled the entire yard a few times and Lola was part of the family right away! Thanks to everyone who helped Lola get her Happy Ending!